Miami - Former US Open champion Graeme McDowell ended a near four-year title drought with a one-stroke victory on Sunday in the PGA Tour's Puntacana Resort Championship. The 39-year-old from Northern Ireland, who arrived in the Dominican Republic ranked 257th in the world, took a big step toward his stated goal playing his way into the British Open at Royal Portrush. He fired a three-under par final round of 69 for a 19-under total of 270 and a one-stroke win over American Chris Stroud and Canadian Mackenzie Hughes. Stroud also closed with a 69 while Hughes climbed the leaderboard with a six-under 66. "This is big," an emotional McDowell said. "This is big for the people who stood by me the last few years. It has been a rough few years. It has been a grind. My whole family, my wife and kids at home." 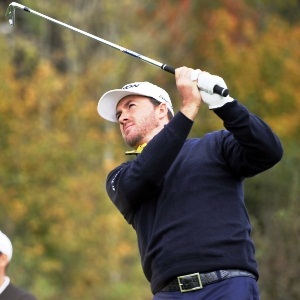 McDowell, who won the 2010 US Open at Pebble Beach and is exempt for this year's US Open at the same venue, notched a fourth PGA Tour title and his first since the Mayakoba Classic in 2015. He took a one-shot lead over Stroud into the final round of the event, played opposite the elite WGC-Match Play Championship, and birdied four of his first seven holes. A bogey at the ninth was followed by a string of seven pars before a brilliant birdie at the par-3 17th, where his six-iron off the tee finished up five feet from the flag as Stroud missed the green. McDowell made his birdie putt as Stroud failed to get up and down and McDowell claimed the title despite a bogey at 18 - where Stroud also bogeyed. "Standing on 16 green I said to myself 'You've got to do something that's tournament-winning,'" McDowell said. "And that shot to 17 was tournament-winning level. "I'm really happy I got this done," McDowell said.